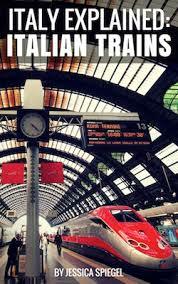 If you’re planning a trip to Italy and thinking of getting around by train, then I’ve got a book you’ll want to read. But first, I’m going to let you in on an embarrassing little travel secret. The first time I took a train in Italy it was very nearly a disaster. 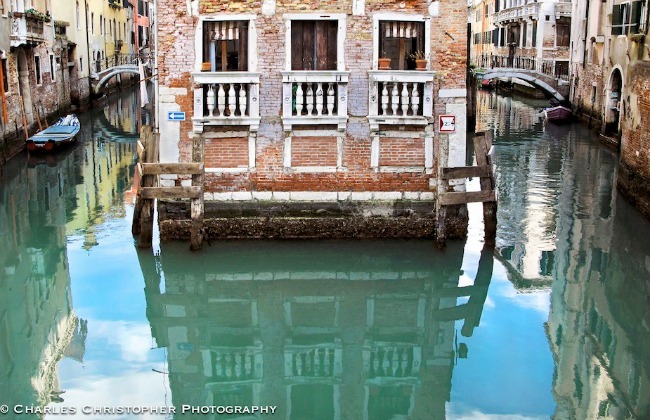 Back in 2001, on my first trip to Italy, I wanted to take a day trip from Venice. I stumbled across a travel office and somehow purchased train tickets. The trip in the morning went well, but it was the return that was tricky. It started with sudden hail storm that set an ominous tone and left me dashing through the train station and arriving at the Bologna station 1 minute before the last train to Venice departed. Run! I collapsed on the train and felt relieved until the ticket conductor came along and explained the wet ticket I was clutching in my hand was only a one way. 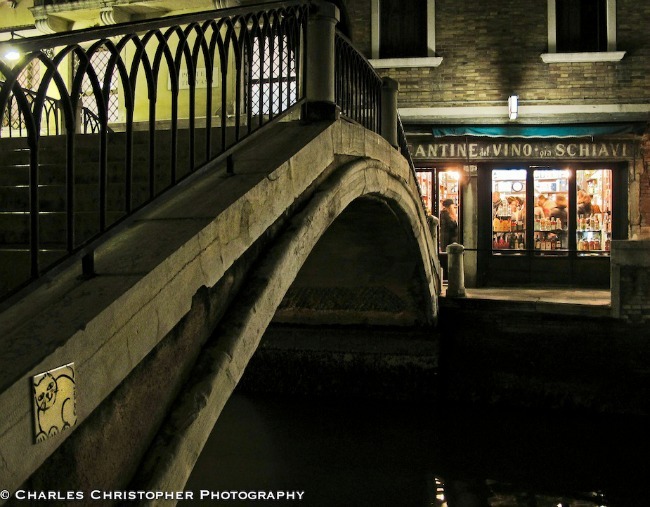 I was never so relieved to get off a train in my life as I was late that night in Venice. Let me tell you another secret. That’s not how train travel in Italy has to be. Keep in mind that I was 21, spoke no Italian and had never traveled abroad. But even if you’re an experienced traveler, navigating the train system in Italy can be tricky. That’s where Jessica Spiegel’s new ebook Italy Explained: Italian Trains comes in so very handy. Think of it as your well traveled best friend telling you the ins and outs so you’re already a pro before you even set foot in a train station in Italy. With detailed information, useful images and an easy to read style, Italian Trains is an excellent resource for travelers new to taking the train in Italy who want vacation memories and stories to be about something other than train mishaps. Even if you’re a newbie to train travel in general, you’ll feel confident taking the train in Italy after reading Jessica’s tips on everything from the difference between classes, how to tell when you need a reservation and ticket (they’re not the same! ), different types of trains, reading the train schedule, booking tickets, how to choose a rail pass and what to do if a train strike happens while you’re in Italy. For those not sure on pronunciation or concerned about not knowing a binario from a biglietto, the last section of Italian Trains features a glossary of Italian train words. 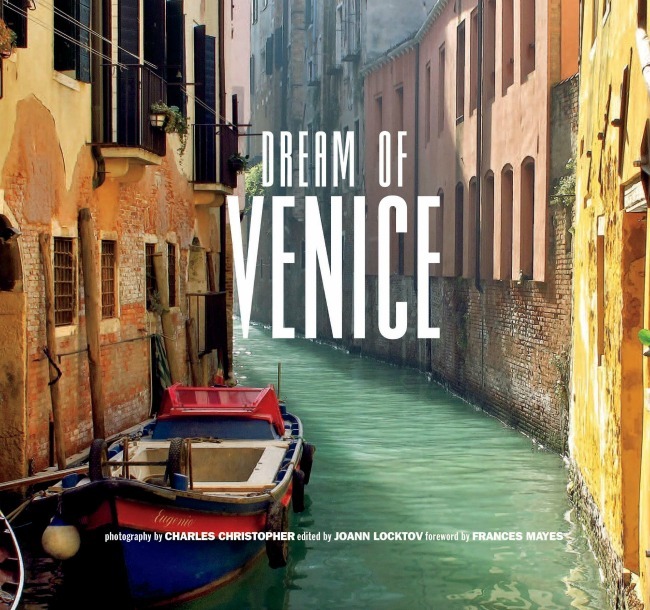 If you’re taking the train in Italy, download this book before you go! For more Italy travel tips, visit Jessica’s website Italy Explained and get your copy of Italy Explained: Italian Trains here . 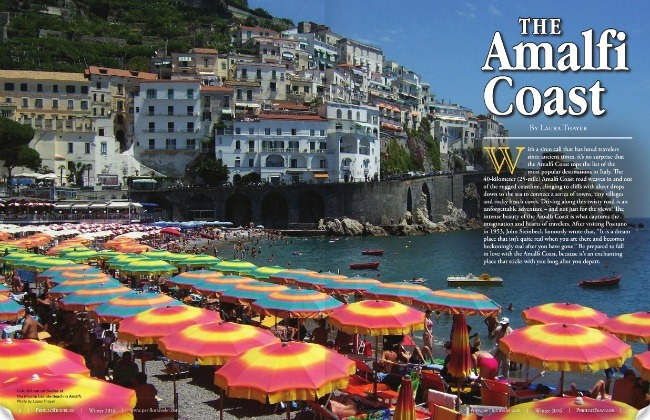 What started my passion for writing and sharing about the Amalfi Coast is my love for this remarkable place in Italy. There is so much to see and discover, and I want every traveler to experience the stunning natural beauty for themselves. 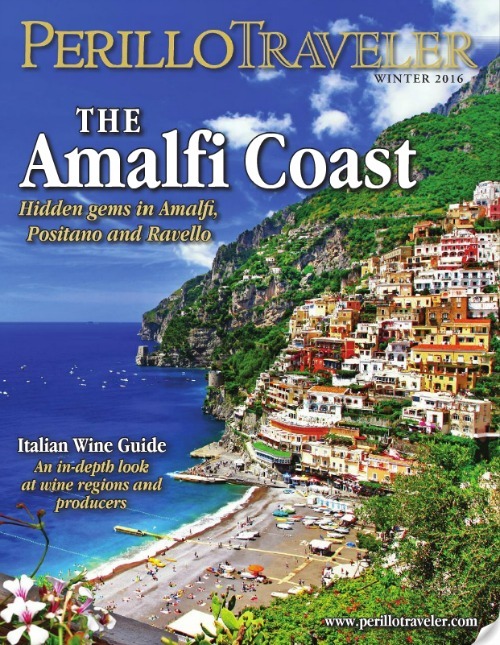 It was a joy to have the chance to write about two of my favorite places on Capri for the Winter 2014 issue of the NIAF Ambassador magazine. I adore Capri and get a bit peeved when I hear people talk about it being too touristy. It takes no more than a few moments from any place that might feel a bit busy to find utter peace and stunning views. 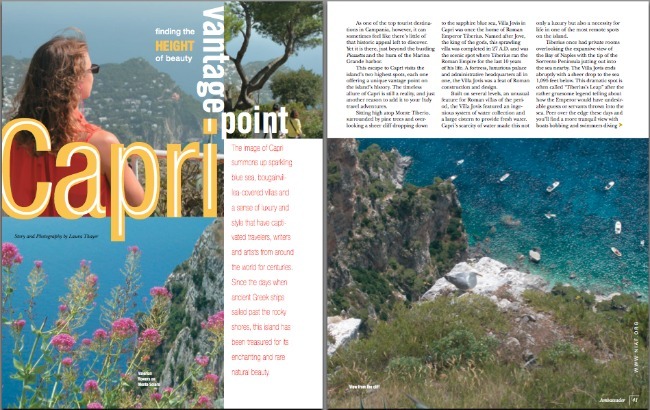 In the NIAF article I took readers to the two highest points on Capri to get a nice vantage point. Oh, and some of those stunning views, too! 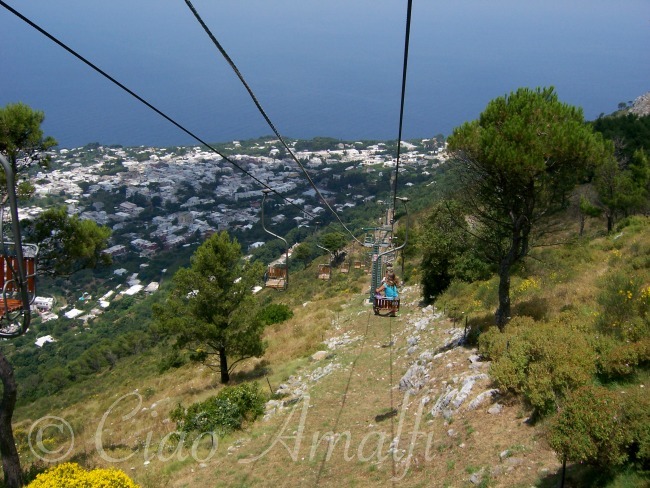 The first stop was Monte Solaro, the peak high above Anacapri, which you can reach by a fun chairlift. (You can also hike up or down or both ways if you’re up to the climb!) 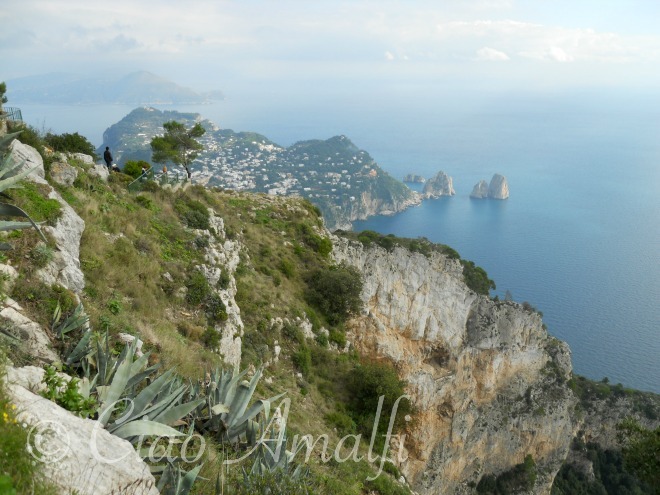 Anacapri slowly drifts away behind you as the chairlift glides to the top. The view waiting for you when you alight and climb a short staircase is one you will surely never forget. Atop the viewing area at Monte Solaro you can look straight down to the sparkling sea, across to the village of Capri and feel a refreshing breeze off the sea. There are areas to explore and wander around, a bar with a tremendous view for drinks or a snacks and plenty of photos opportunities. From Monte Solaro you can see the second highest point on Capri as well. All the way across the island on the top of another peak you’ll spot a large villa. You can even see it in the photo below. That was once the home of none other than the Roman Emperor Tiberius. The peak is still named after him and is called Monte Tiberio today, and you can visit the ruins of the one splendid Roman villa. 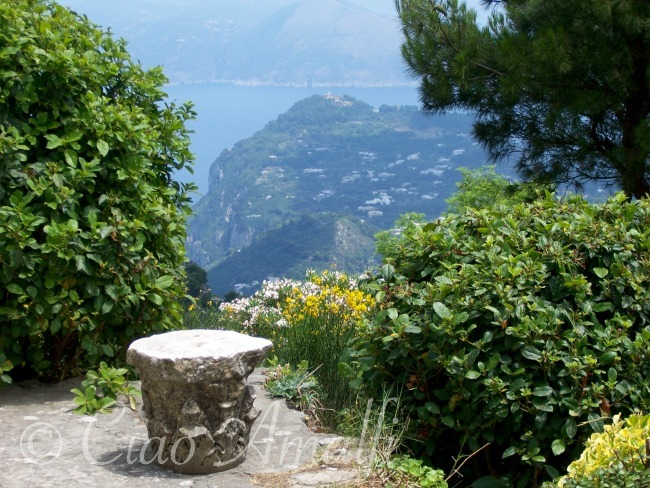 It’s a bit of a hike, but an absolutely gorgeous one, to reach Villa Jovis from the center of Capri town. 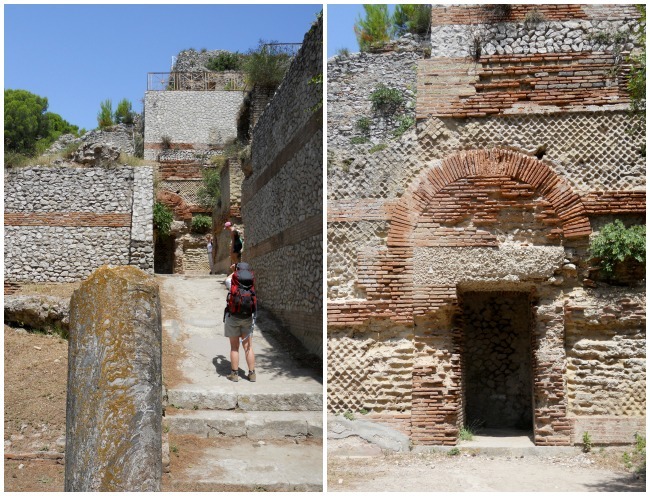 If you thought the only Roman ruins to be found in the area were at Pompeii and Herculaneum, then you’re in for a treat. 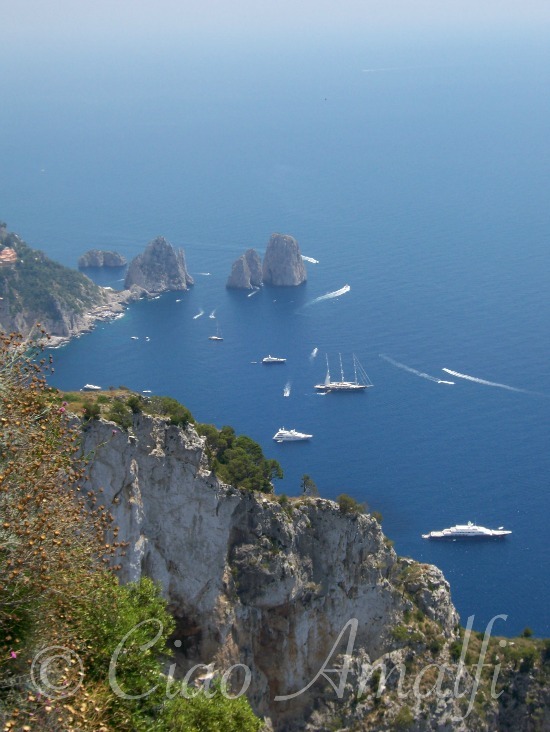 There’s a lot more to discover on Capri than you might think! Villa Jovis was the opulent home of Tiberius and was completed in 27 AD. Even today it seems to remote, and it’s hard to image that he ruled the Roman Empire for 10 years from this very spot. Well, he certainly knew how to pick a good view! 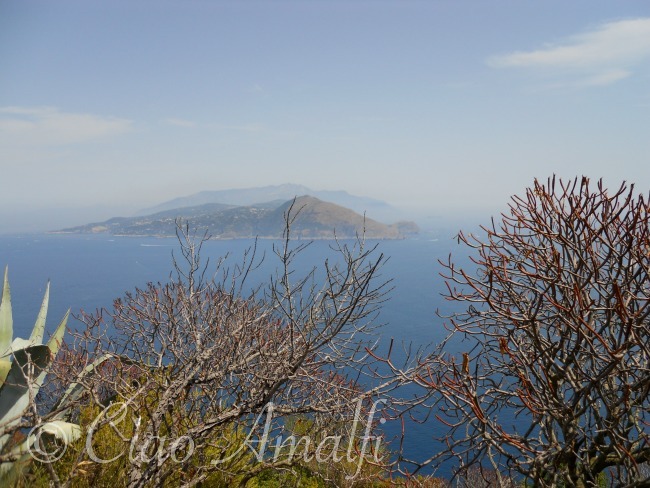 From Villa Jovis you can see straight across to the very tip of the Sorrento Peninsula. To the right is the Amalfi Coast and to the left the Sorrento coastline. 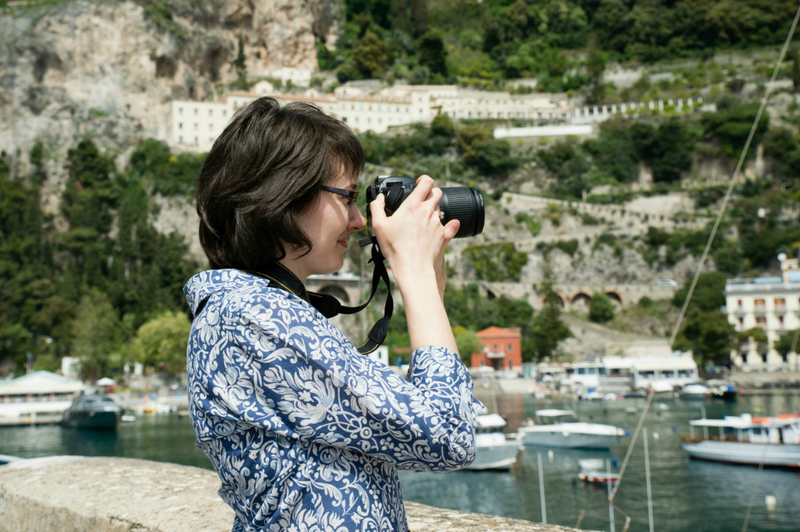 I hope the next time your travels take you to Capri that you’ll spend some time exploring, whether the high spots or the gorgeous coastline and beaches by boat, to see a different side of the island. 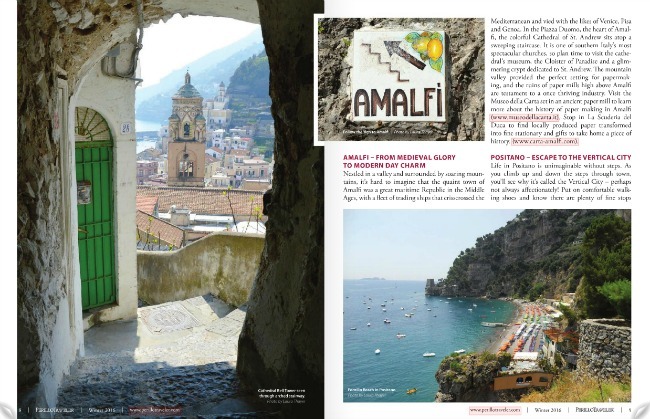 Thank you to the NIAF Ambassador magazine for the chance to share two of my favorite spots on Capri! As the time period for my Italian citizenship application to be processed comes to an end, I’ve found myself drawn more often to thoughts about what it means to be Italian. As a foreigner, sometimes it just seems like a jumbled up pile of puzzle pieces – where you’re pretty sure at least a handful of pieces are missing before you even start putting it together. Naturally, I was interested to read The Italians by Rome-based journalist John Hooper, which was released earlier this year. The Italians really delves into the nitty gritty of Italian history and life, from what happened to Italy’s feminist movement to the veline, the way Italians think of religion, do things and do it. (Ahem … we are talking about Italians here folks.) Because life is full of all these things. Yet, how do all these different things define a people? Hooper shines the spotlight on a series of different aspects of being Italy, whether it’s eating gnocchi in Rome on Thursdays or the importance placed upon una bella figura, and goes behind the to uncover what drives Italians to do what they do. Throughout The Italians, Hooper presents an impressive number of statistics, surveys and reports to help tell his story. While tremendously researched, I was left wondering whether all the numbers really had helped me feel like I knew the Italians better. Yes and no. Yes, because it presented a surprising amount of information to process through and wonder about that I wouldn’t normally consider. No, because I think for me numbers don’t tell the whole story. It’s always more important to step outside of stereotypes, statistics and reports to remember that Italy is complex and the Italians tantalizing and persistently mysterious people. There’s nothing that compares to traveling and meeting Italians, living with them, talking and laughing with them and sharing little moments of daily life. The you begin to grasp what it means to be Italian on a more personal, tangible level. After eight years in Italy, just when I think I’m starting to understand what it might mean to be Italian, something happens that turns everything upside down again. And for me that’s the beauty–and challenge–of learning to live in a new country. 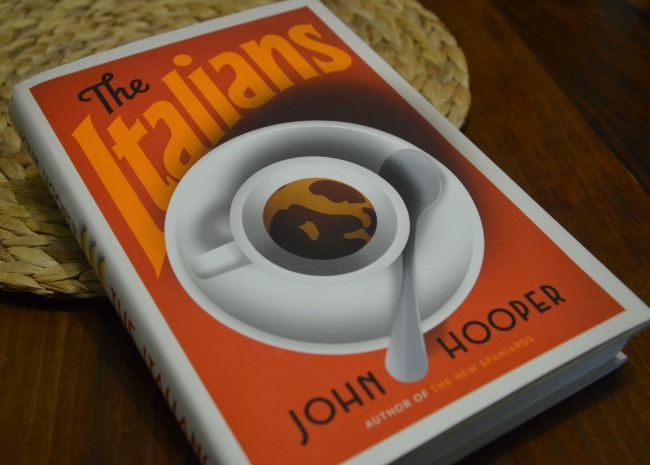 Everyone tells their love story for Italy differently, and I felt that the book was true to the description as “an eye-opening, heartfelt true-love story.” This is Hooper’s way of sharing a deep love and fascination with Italy and its people. I enjoyed reading his story, especially picking up the little tidbits of cultural history along the way. I was even able to explain to my Italian husband why soccer coaches in Italy are addressed as “Mister,” which is something he didn’t know all the details about, and when I hear the Italian national anthem I wonder more about its meaning and history thanks to Hooper’s fascinating discussion. If there’s one thing I know, however, it’s that in the end the Italians don’t fit in a book. The vibrancy, dichotomies, energy, charm and challenges that create a people become infinity diverse at a personal level. But that’s just my approach to understanding the world, which I feel leaves a lot more room for wonder, surprise and discovery. Yet, I learned a great deal reading The Italians by John Hooper, and I would recommend it to anyone interesting in delving a little deeper. 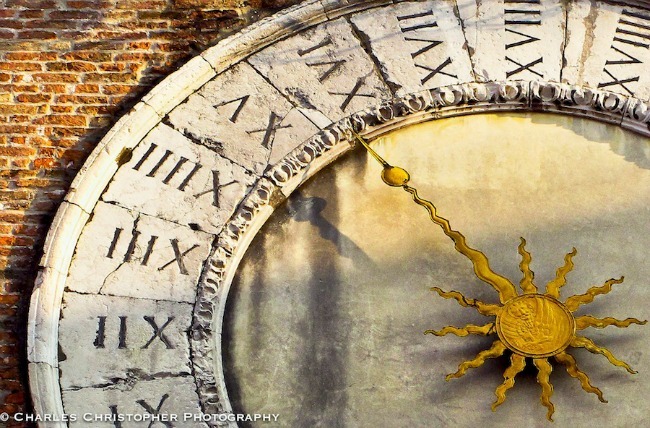 It’s another piece of the puzzle that many expats in Italy spend a lifetime putting together.